Carsten and Lenka Rundholz, are the designers responsible for the wonderful garments in the three Studio Rundholz womenswear clothing collections: Rundholz Mainline, Dip and Black Label. The Rundholz New Spring Summer 2019 women collections are once again, well thought through, stylish and with real strokes of brilliance and originality and perfect for Summer. Lovely fabrics have been chosen that compliment the shapes of each piece. The Spring Summer Rundholz Women Collections are always special and this is reflected across the three collections. Rundholz womenswear collections are for all tastes and purses. 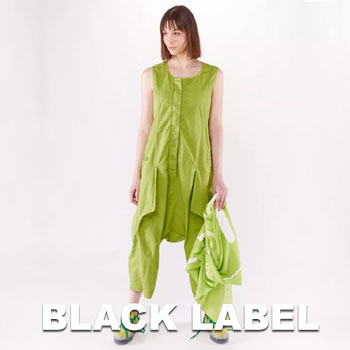 The Black Label has all the features you expect in Rundholz clothing, whilst being very accessible pricewise. 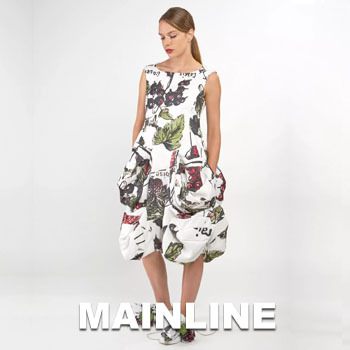 The Rundholz Mainline label and the Dip label offer design and fabrics that can only be described as inspired, with wonderful overdyed fabrics and stunning prints.